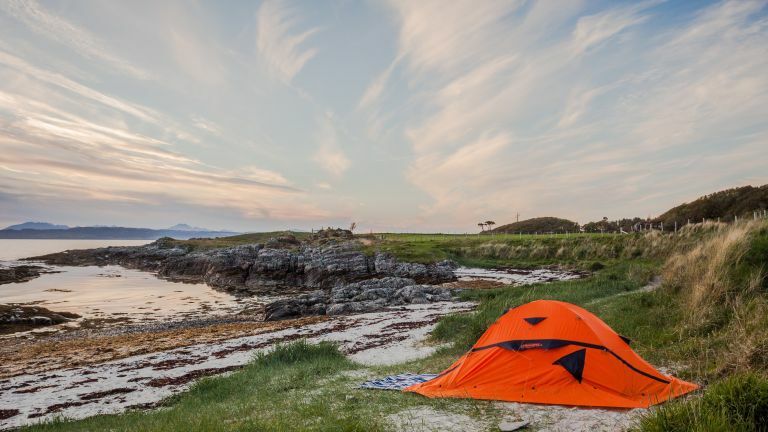 When we talk about the best camping cots in the UK, we are referring to what are called camp beds in the US, the army-style gurneys rather than what you might bring along for your littlest travelling companions (here’s our list of the best travel cots instead). But if you know what you’re after, and that’s definitely a camp cot and not an air bed or any other assorted form of tent-bound sleeping spot, then what luck! We’ve handily sifted through the wide selection of camping cots out there to bring you the best bunks money can buy. If time is of the essence, it might save you some to know right from the outset that our best all-round pick is the Therm-A-Rest Ultralite Cot, a super-lightweight, compact and comfortable camp bed that’s left a trail of happy, well-rested campers in its wake. However, depending on what your next trip holds, there might be more to bear in mind before you buy. If you’re traveling sans vehicle, look for the most compact design and lightweight construction you can for easy carry, with quick set-up being a big bonus. If you’re worried about feeling secure or having enough room to sleep, look for a generous upper weight limit for a supportive night’s sleep. Finally, if you’re travelling as a duo and want to huddle like penguins while you sleep – you know, for warmth – there’s even a double cot for you to consider. Calling your product the “lightest, most packable cot on the market” is a big boast, but Therm-A-Rest’s Ultralite Cot has the glowing reviews to back it up. It’s won awards for its ingenious design, which couples an incredibly compact packed-down size with easy assembly and heat-reflecting ThermaCapture material to ensure you don’t lose any of that vital body heat when the night draws in, and even reviewers of (self-confessedly) more generous proportions found it offered a comfortable and supportive night’s rest. For ticking just about all the boxes you could hope for, it earns our top spot. With an upper weight limit of 250 kilograms, the Terra Hiker Folding Camp Bed is far and away our most accommodating cot, with an edge of 50 kilograms on its nearest competitor. With that in mind, it comes highly recommended for those who might not feel secure on flimsier cots, but despite its super-strong capabilities, it weighs in itself at a mere 1.36 kilos, offering an unbearable weight-to-strength ratio. For something that users say is incredibly lightweight and compact when broken down, but roomy and comfy when set up, we think it’s a bit of a marvel. This folding camp cot is, by all accounts, as sturdy as it is smart-looking. Users found the non-slip surface comfortable with or without a mattress, with the latter allegedly being preferable in warm weather thanks to the cot’s pro-air-circulation design. They also described it across the board as light to carry, simple to store, easy to assemble, impressively robust and, above all, comfortable. That, plus the budget-friendly price, is a pretty impressive set of virtues, leaving it in stiff competition with the Freedom Trail Slumber bed below. Nights on the road can be a lonely affair, especially when your beloved won’t let you squeeze into their sleeping bag with them. With this double camp cot from Kampa, it’s problem solved. It employs durable 600 denier polyester for a sleeping surface sturdy enough for two, and can purportedly support up to 100kg on each side. The steel frame offers a stronger, more stable sleeping platform than its aluminium-framed competitors, although the trade-off is that it comes up considerably heavier, so this might be best for car-based camping trips than for on-foot adventures. This camp bed might look reasonably standard in its army-green garb, but behind that unassuming exterior is the greatest gift an outdoorsperson can hope for: convenience. Happy users found this cot good to go in a matter of seconds – an immediate improvement on the huffing and puffing inherent in blowing up an air mattress only to find yourself sunk to the ground in a matter of hours – and loved that it folded easily into its included carrying bag for fuss-free transportation, making it just as good for stowing away for last-minute guests as for camping. Combining a budget price with remarkable reliability and comfort, this cot bed is a great shout for anyone minding the pennies. Users raved about the sturdiness of the PVC-coated fabric and aluminium X-frame, and even those with chronic back pain found themselves on the receiving end of a thoroughly comfortable snooze. The only potential pitfall was the slightly chilly fabric – if that’s enough to turn you off, the ThermaCapture fabric of the Therm-A-Rest cot might be more your speed, but when this bed is well over £100 cheaper, we can’t comfortably call that a deal-breaker.